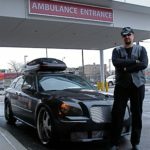 Dan Ivankovich is an orthopedic surgeon, humanitarian, CNN hero, and blues musician! He joins The Leadership Podcast to discuss the inspiration behind creating OnePatient Global. Dan talks about creating empathy and connection, and how Dan’s injury changed his life’s trajectory. As the leader of the Bone Squad, Dan is known for his advocacy on behalf of the underserved, uninsured, and underinsured in Chicago’s inner city. [3:21] Dan has always gravitated to serve the underdog and has himself experienced struggles with his own pain and healing. [8:28] As a first generation immigrant, Dan saw the importance of sticking together as a family and working hard to earn your own success. [11:48] Dan creates a genuine connection with his patients and bridges the gap of differences by creating a common thread of humanity. [14:38] Leaders inspire others to want more for themselves and help guide them past moments of doubt and adversity. [21:13] Real growth comes from having hard conversations and setting higher expectations without fear of loss or failure. [23:57] Dan believes our society can empower and encourage others to go above and beyond what is expected. [29:29] It’s not about doing one thing, it’s about pulling from multiple sources to create a composition of greatness. [34:01] Great leaders listen to everyone’s viewpoint and process information in a critical and analytical manner. [41:08] Leaders should push their team but offer guidance, mentoring and counseling to combat unhealthy stress. [46:42] Dan’s challenge: smile at strangers and live in the moment with people. Deeds not words! Do the right thing…even when no one’s looking.